Yet another social media star has gotten her own mobile game, and this time, it’s Summerella who is the focus of the new Android and iOS split challenge game Brick Splits. Playing the game is simple – you just have to hold down on the screen of your device to grow the legs, then release your hold when you feel you’re tall enough to land on the bricks. Growing your legs too short would drop you into the pits, but growing them too long will also result in your run ending. It’s simple, casual gameplay with a recognizable Vine star as the game’s endorser, and it’s one of those “easy to learn, hard to master” titles that should appeal to the casual gamer in all of us. 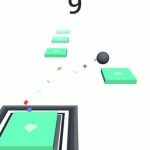 That all said, the main goal here is to get the highest possible score, though you may be one of those players who’s having a heck of a time beating your friend’s scores, or your own personal best. If this sounds like you, then you should, by all means, keep reading and check out our list of Brick Splits tips and tricks. One thing you should prepare for in this game is a rapidly escalating degree of difficulty. 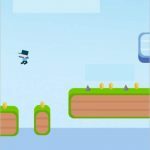 As your score gets higher in this game, you’ll have to deal with smaller bricks, as well as a platform that moves from side to side together with the bricks. That adds to the challenge of the game, and it can definitely throw you off if you’re used to those simple obstacles and basic gameplay. You may even see your character getting flipped upside down. The best ways to deal with the first two obstacles are simple, common sense strategies; act faster and keep your focus on the game so you don’t get thrown off by the moving platforms and bricks. But for the latter challenge, you may want to go into your device’s settings, put it on rotation lock, and flip your device upside down so you can view your character in normal orientation. Scoring more points is the most fundamental way to earn coins; you get one coin per platform when the difficulty level is still fairly normal, and two coins per platform when they become narrower and begin to move. 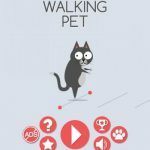 But the best and fastest way to earn coins is to watch ad videos, which will net you 50 coins per video. These videos pop up after every few runs (every five runs, to be specific), so if you want to speed up the launch of these videos, you can end your game as quickly as possible, then start a new one, repeating the process until a video appears. When it comes to obstacles you have yet to see in the game, you won’t see it until you’ve reached a certain part of your run. One example would be the extremely narrow gold bricks. 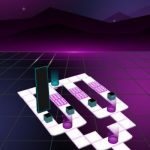 But once you’ve seen that obstacle for the first time, you’ll be able to see it at any point in the next games you play, which further adds to the challenging nature of this game, for all its simple mechanics and rules. 4. What’s The Deal With The New Characters? Once you earn a total of 500 coins, you’ll be able to afford a new character in the in-app store. You can also get new characters by following Bruh Inc on Twitter, or liking their page on Facebook. You can also like the company’s affiliates on Facebook and get bonus characters as a reward. Whatever the case may be, regardless of whether you unlocked a character via social media likes or by paying for them, they’ll all play the same way, and would only be there for collection purposes. And this wraps up our quick guide for Brick Splits. In case you know more hints for the game, feel free to share them with us below in the comment section!